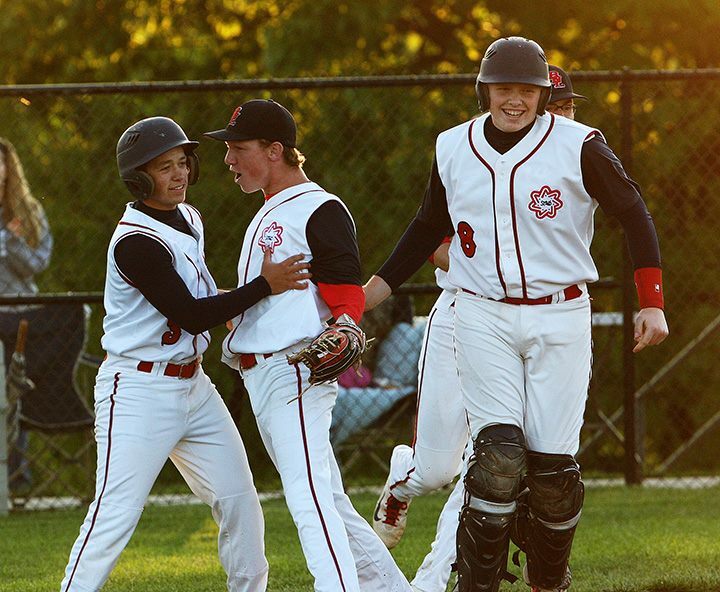 BEDFORD — Whatever struggles the Bedford North Lawrence baseball team have had earlier this season, the Stars are now on a roll. This time the suddenly surging Stars bumped off third-ranked New Albany, 5-4, to claim fifth in the HHC. “I guess if you’re going to have to go to the loser’s bracket consolation it makes it better if you can beat two real quality teams,” said BNL coach Jeff Callahan. “It helps playing here at home and our kids came out last night and tonight with confidence and wanting to play well and we did both nights. BNL led start to finish, scoring a pair of runs off New Albany starter Joey Collins in the first inning. Tanner Tow drove in Ronnie Watson with a groundout to second before Cole Mathews crushed an RBI double to score courtesy runner Bristol Anderson. Dylan Ragsdale (2-0) got the start for the Stars and held the Bulldogs at bay for five innings, giving up three hits and only one run. Trailing 5-1 entering the sixth inning, New Albany finally got its bats going. The Bulldogs tallied three runs in the frame to cut the BNL lead to 5-4, but left the base loaded. Mason Mack recorded the save for the Stars, retiring the New Albany side in order in the seventh. A controversial call in the in the fourth inning left New Albany wondering, ‘what if’. Timmie Redman hit what appeared to be a sacrifice fly to left field to score A.J. Nixon and cut the BNL lead to 3-2, but the home plate umpire ruled Nixon had left early. BNL checked the play at third and Nixon was called out to end the inning. “I’m not a guy a that spends a lot of time arguing with umpires, I really don’t,” McIntyre said. “I worry about my team more than I do the umpires, but he flat out missed the call. He jumped on it because they were yelling, ‘throw the ball to third’. It wasn’t even close. Mathews finished 3 for 3 for the Stars with two RBIs, while Tow went 1 for 2 with a run scored and an RBI. BNL (11-11) is back in action Tuesday when he travels to Jennings County.